Michael Hartmann is active in all phases of intellectual property law with an emphasis in intellectual property litigation and technology protection and transfer in the United States and internationally. He has acted as lead trial counsel in jury and bench trials, International Trade Commission investigations, and related pre-trial and appellate proceedings in diverse technical fields. These include software, telecommunications, machine vision and semiconductor manufacturing, oil field drilling and geophysics technology, subsea electrical and optical connectors, standby power generation, ethylene oxide catalysts, molecular sieve zeolites, polymeric lenses and membranes, x-ray film emulsions, pharmaceuticals and blood filtration, gypsum wallboard manufacture, and mechanical devices. His international experience includes directing legal proceedings in courts in England, Germany, and France, as well as before the European and Japanese Patent Offices. He has participated in a number of major domestic and international technology transfer and licensing transactions. Mr. Hartmann was born in Frankfurt, Germany and is fluent in German. Prior to joining the firm, he served on the engineering staff of Mobil Oil Corporation (now ExxonMobil) and worked as an intern with a German patent firm. He has lectured before several groups, including the American Intellectual Property Law Association, the Practicing Law Institute, and at German professional conferences. He is a member of a number of national and international professional organizations. 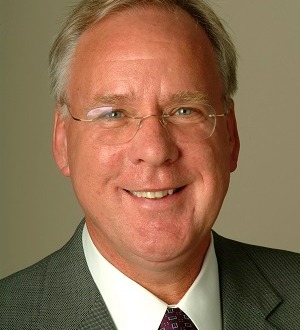 Mr. Hartmann served as president of the firm from 2009 to 2015.